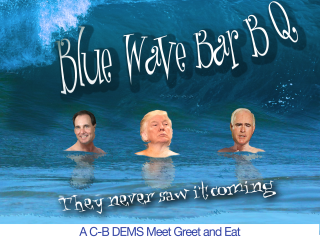 Remember to keep watching the CB Dems on Facebook, and this website, for information on future “Democratic Meet, Greet & Eat” events”. 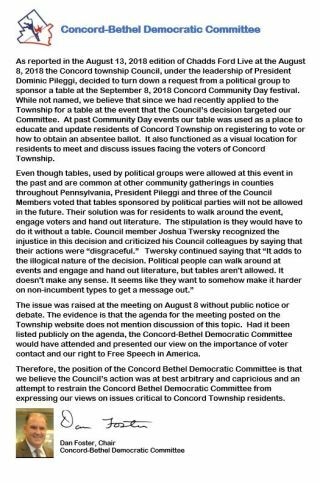 On June 16, 2018 the Concord-Bethel Democratic Committee held the long anticipated Blue Wave BBQ fundraiser at the Concord Township Senior Center from 3:00 pm to 6:00 pm. 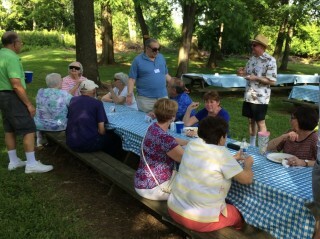 Over 50 people came out to enjoy the day and attend the BBQ. 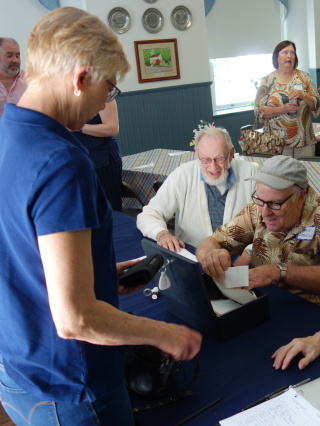 There were several who hadn’t been involved in a political committee before who joined us and indicated their interest in becoming involved. 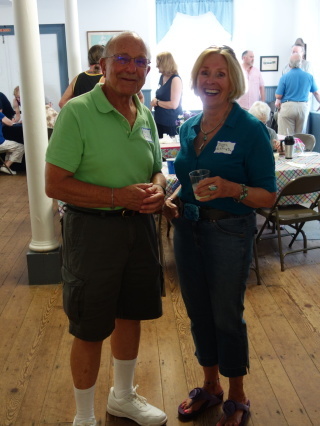 Dan Foster, Chair of the Concord Bethel Democratic Committee, hosted the event and welcomed guests and visitors. 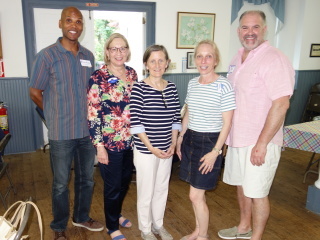 Mary Gay Scanlon (candidate for US Representative for the 5th District) and Anton Andrew (candidate for the PA 160th District) attended and celebrated the day with us. 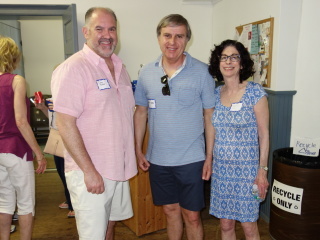 David Landau (former chair of the Delaware County Democratic Committee), Beth Alois (Former Vice Chair) and Colleen Guiney (current Chair of the Delaware County Democratic Committee) also attended. 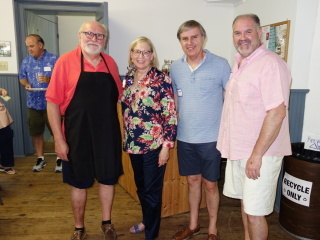 The menu included barbeque chicken, hamburgers and hotdogs along with potato salad (prepared by Deb D’Allure), and coleslaw, (prepared by Ed Keane). 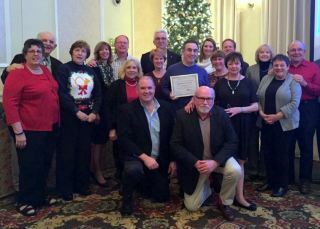 So many people helped make this event a success that there may be too many to mention here but there are some who played a key role that should be identified: Ed Keane (Chef), Matt Horwitz (advertising and social media), Deb D’Allura, Jean Holveck, Annie Keane and Pat Horwitz who worked the buffet line. 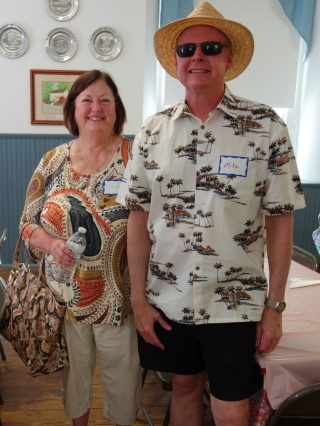 Vance Downing welcomed and registered guests and Shelly Stiefeld managed the 50/50 drawing. The 50/50 was won by Mike Roberts of Fox Hill Farm. It was noted by some that the turnout from Fox Hill Farm this time (with 16 people attending) broke their previous record. 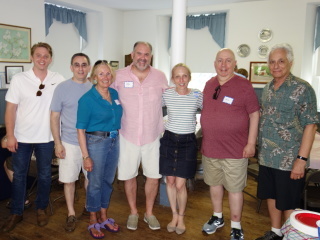 While the event did turn a profit that will be important in the November election, the greater benefit to this type of event is that it gave us all an opportunity to say hello to our neighbors, friends and fellow Democrats and spend time with them. 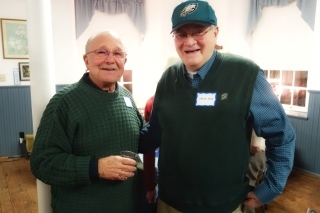 If you attended this event, or previous ones, you will remember that people came and stayed and enjoyed the day by renewing old friendships and making new ones. Look at the pictures below for a glimpse of the day. To stop the carousel: On a computer place your cursor on the photo and click once. On Ipad or Iphone tap the photo once with your finger. To enlarge a picture: On computer right click on the photo and choose "open image in new tab". On iPad/iphone tap twice to enlarge it. The next event is being planned and will soon be announced. 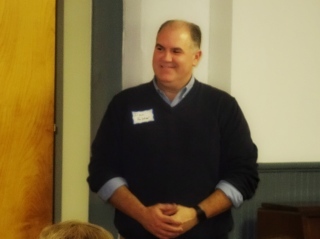 The evening kicked off with Dan Foster, Chair of the CB Dems, welcoming everyone to the dinner and introducing candidates for the PA 7th District of the US House of Representatives: Shelly Chauncy, Dan Muroff, Molly Sheehan and Greg Vitali. 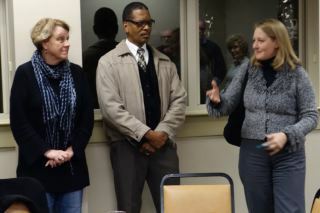 Also introduced were candidates for the 160th Legislative District in the PA House of Represenatives Anton Andrews and Cathy Spahr. 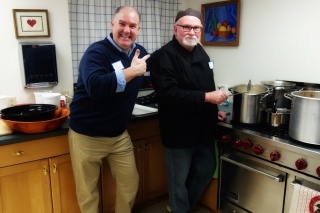 Dinner followed providing all of us an opportunity enjoy a wonderful dinner of penne pasta and salad prepared by our own Ed Keane. 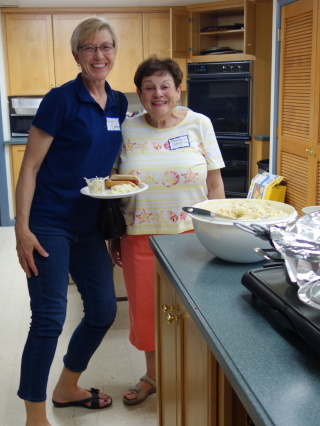 Appetizers and desserts were brought by members of the group. Democrats and discuss their questions and concerns. 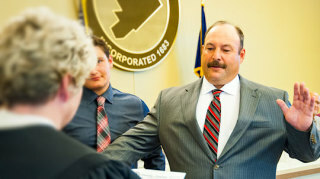 It also gave us all an opportunity to get to better know the candidates. The candidates for the 7th District seat presented to the group their background and experiences that have prepared them for the challenge. Anton Andrews and Cathy Spahr spoke about themselves and what they will bring to this election for the seat which is currently held by Stephan Barrar. 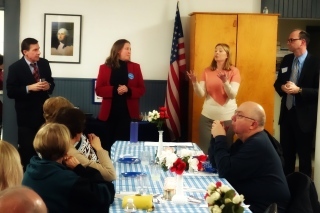 Afterward all candidates answered questions from the group and discussed their thoughts on various issues and topics. 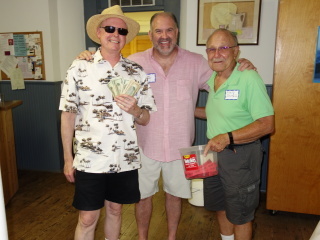 Dan Foster with Ed Gaynor, on right, winner of the 50/50 raffle. 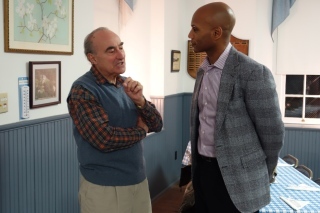 The CB Dems met for a regular monthly meeting on Tuesday, January 16, 2018 with more than 15 members attending. 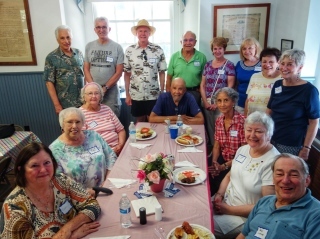 The group included three who attended for the first time. 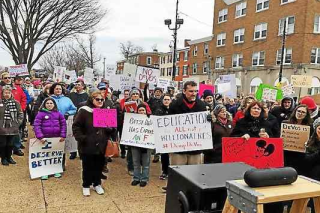 Also attending were four potential candidates for the 7th Congressional District of PA and a potential candidate for the 160th Legislative District in the Pennsylvania House of Representatives. Part of the meeting time was spent in listening to the candidates present their reasons for running for office and why they would be an effective candidate to challenge Patrick Meehan. The Democratic candidates for the 7th Congressional district are Shelly Chauncey, Drew McGinty, Elizabeth Moro, and Dan Muroff. A question and answer session followed their presentations. 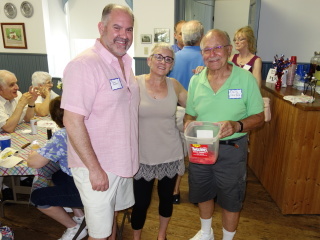 Also attending the meeting was Cathy Spahr who is beginning a candidacy to challenge PA State Rep. Stephen Barrar, to represent the 160th Legislative District.in the Pennsylvania House of Representatives. Ms. Spahr explained her background as an activist and why she is running to challenge Mr. Barrar. If you would like more information about any of the candidates click on the link below to access their websites. 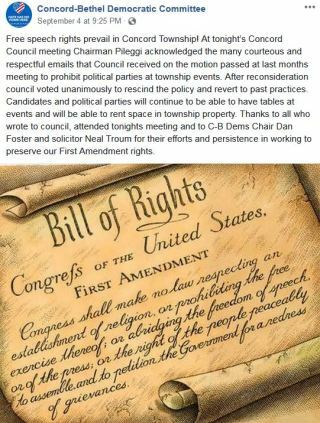 Shelly Chauncey – No political website at this time. All Democrats, and others who are interested, are welcome to attend the next CB Dems meeting on February 20, 2018, 7:30 pm at Maris Grove. Details of the meeting location are available on the Events page of this website. 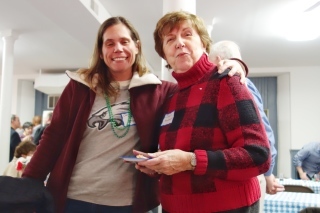 On Thursday December 7, 2017 the Delaware County Democratic Committee held a Holiday event at the Drexelbrook Catering & Special Event Center. In attendance were over 300 Democrats who participated in the last election that was very successful electing five county wide candidates. 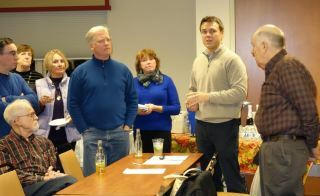 Nineteen of the Concord-Bethel Democratic Committee members also attended. 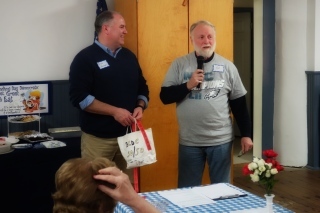 During the event Matt Horwitz received the C-B Dems VOLUNTEER OF THE YEAR award presented to him by David Landau, Chair of the Delaware County Democratic Committee. 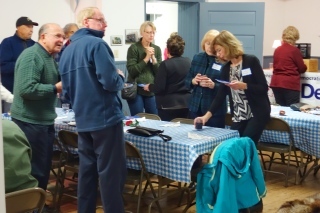 Approximately 30 members of the CB Dems met for a regular monthly meeting on November 21 at Maris Grove and celebrated a successful 2017 campaign. 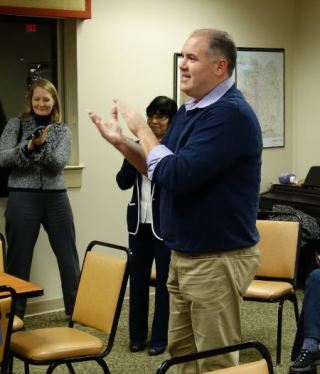 Dan Foster, Chair of the CB Dems, welcomed the group and commented on the successful efforts in turning out the vote for this very important election. 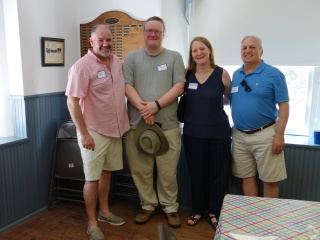 Through the efforts of the CB Dems, and many others, we were able to elect Brian Zidek and Kevin Madden to County Council, Jerry Sanders as County Sheriff, Joanne Phillips as County Controller and Mary Walk as County Register of Wills. 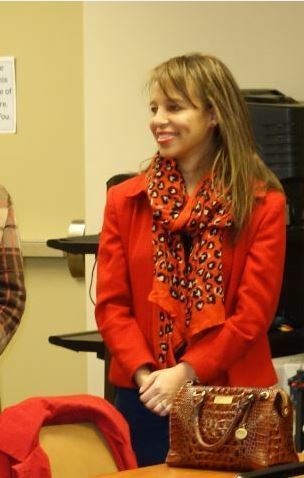 In addition, Elizabeth Moro who is mounting a campaign for District 7 United States Representative, attended and spoke to the group discussing some of issues she is concerned with for the 2018 election. 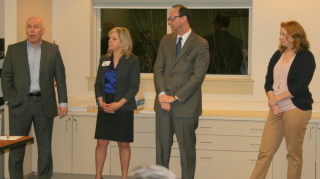 Kelly Eckel, Candidate for Judge of Common Pleas, and Sari Daisy, Candidate for Garnet Valley School Board, attended and thanked the group for support during their unsuccessful campaigns. 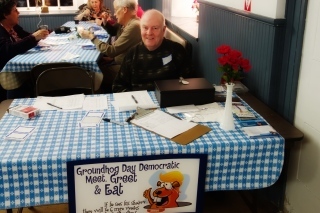 The next regular CB Dems meeting is set for December 19, 2017 at Maris Grove. 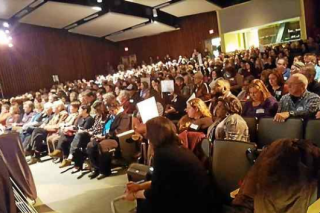 600 turn out for Next Steps meeting! !